Capturing the laughter, joy, and tears in special moments of your life. Portrait sessions include families, couples, children, and lifestyle newborn sessions. I am a full-service photographer. Clients are provided with direction before the session, including help with clothing selection and finding a location that fits your style. I walk you through step-by-step to help decide which images you'd love to display in your home, and I have a fabulous app that allows me to show you exactly how each portrait will appear on any wall of your home in various sizes. I want clients to LOVE their portraits and the assistance I provide! Please contact me for customized wedding package information. I have been photographing weddings for 7 years, both around the United States and Internationally. I prefer a photojournalistic approach that captures your day exactly how you remember it, and the details you didn't see! I'd love to meet with you over coffee and hear your love story. I have the most amazing, kind, and let's face it, good looking clients. Thank you for asking me to be a part of your lives! Wow, where to begin. Jamie has captured so many wonderful memories of myself, my family, and my new family. From senior high school photos, to sibling photos to college for my parents 25th anniversary present, to family photos when I was 9 months pregnant, to newborn photos of my son. Jamie uses her natural skill and sense of humor to make you feel comfortable and capture those tranquil moments, quirky stories and wonderful smiles. She is always so timely and professional. Let's just say my walls boast her photography skills and I can't wait for the next occasion to see her at work! We love having Jamie as our photographer! She takes such great photos of our family and captures each personality. She always has a great place in mind for the pictures. I love outdoor photography and she takes the time to find the best spot. We have a multi-racial family so lighting can sometimes be an issue. Jamie's skill means we all look great! Her creative ideas make for great pictures as well! She is very professional but warm at the same time and I would highly recommend her for any photographs you need. Everyone wants to remember a day as special as their wedding day, and so did I. Jamie was referred to me by a close friend, and after calling her and meeting with her my anxiety was quickly put to ease. Jamie was very thorough in making sure she met MY needs and not just in the common "wedding pictures." She met with me at the location of my wedding a few days before the actual wedding to make sure she was prepared and able to capture the best memories! I couldn't be more happy with how the pictures turned out! With Jamie, I didn't have to worry about anything, I just knew she would capture the moment perfectly (and she did!). I still enjoy going back and looking at my wedding photos, and I am amazed at how well they turned out. I would definitely recommend Jamie for any photography needs, she is one of the best!! Jamie has been our family photographer since it was just the two of us. It all started with our maternity shoot for our little girl over three years ago. Now, two kids, ten plus photo shoots, and tons of great photos later, we count on Jamie to capture our precious milestones. She always does an amazing job and she's always thinking of different, fun and exciting ways and places in which to capture our family. We've sent lots of friends and loved ones her direction and we'll continue to do so! 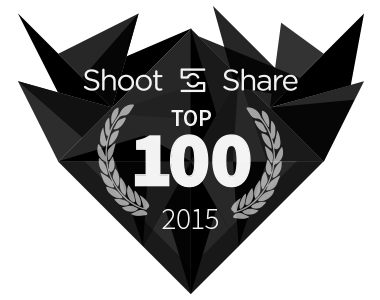 A NUMBER OF MY PHOTOGRAPHS HAVE BEEN RECOGNIZED AS BEING IN THE TOP 100 OF THEIR CATEGORY OVER THE PAST 2 YEARS. I'M VERY BLESSED! 110,928 photos submitted to the contest. 23,154,356 votes cast. I had 2 photos in the top 100!